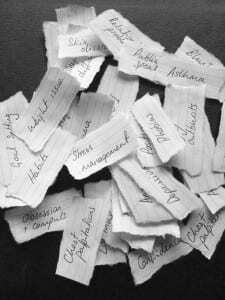 On many websites, you will find endless lists of phobias and their names. The lists are endless because people can have phobias about literally anything. Some are more common than you might think, such as fear of vomiting (Emetophobia), the fear of thunder and lightening, (Astraphobia), fear of flying or fear of social situations. EFT and Hypnotherapy are excellent approaches to treating your phobia. The process is painless, gentle and easy – the hardest part really is booking an appointment. During the course of our sessions, Fran also found out that I have a number of other strange fears which she helped me with. The most notable of which is a totally irrational fear of moths and butterflies! I’m delighted to report that a butterfly landed on my arm in the garden the other day and I was able to just stand there until it flew away; something I would never have been able to do six months ago. Fear is a natural response caused by perceived danger. For example, we are all scared of coming face to face with a wild, hungry animal, and fear is a survival instinct which warns us against certain things or situations. A phobia, on the other hand, is an irrational fear of an object or situation that causes little or no danger. For example, arithmophobia (fear of numbers) may cause certain individuals anxiety, but the feared situation itself won’t cause any danger. Phobias are linked to our subconscious, and because they are irrational, they can often be dealt with effectively. Phobias are extremely common and range from the less well-known i.e. asymmetriphobia (fear of asymmetrical things) to the more commonly recognised dentophobia (fear of dentists). There will usually be strong avoidance behaviour connected with the phobia, and feelings of anxiety, loss of control and panic. Sufferers usually know their fear is irrational, but they cannot control it. 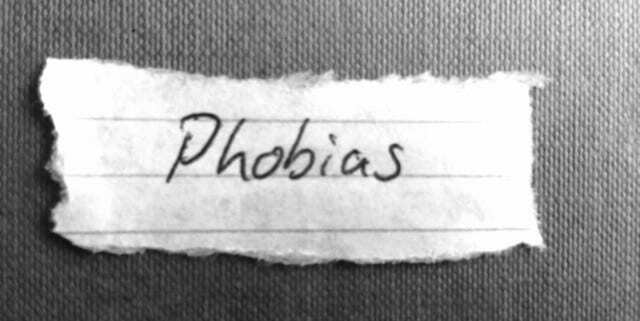 Phobias are often categorised into specific phobias and social phobia. Some common examples of specific phobias are closed-in places, spiders or a fear of flying. They cause fear of a particular object or situation and these phobias usually begin early in the person’s life and continue into adulthood. Phobias often begin early in an individual’s life and may occur for a number of reasons. It seems phobias can run in families; however whether this is hereditary or simply learned behaviour is unclear. For example a child may learn a phobia by observing a family member’s reaction to an object or situation. Traumatic experiences are also believed to influence the development of phobias. Hypnotherapy and EFT can help to identify the root cause of the phobia and enable individuals to react to the particular object or situation they once feared in a calm and relaxed manner when encountering it in the future.